DCI Motorsports is your premier Pontiac engine builder. 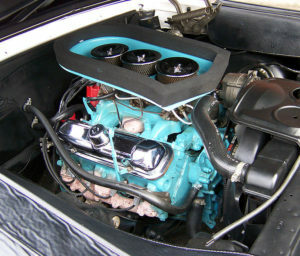 With over 35 years of engine building experience with an expertise in Pontiac engines, DCI Motorsports covers every detail with Pontiac engine restoration. DCI Motorsports is no stranger to the most rare Pontiac combination. 1978 W72 400 Trans Am, 1965 Tri-power GTO, 1969 Ram Air IV GTO Judge, a 1973 Super Duty 455 Trans Am, or a 455 for a 1971 Grand Prix, DCI motorsports will rebuild your engine keeping the factory look and function while upgrading the fundamentals to allow your engine to reliably run on pump gas for generations to come. This Pontiac expertise is why Chuck Henley called upon DCI Motorsports for his concourse winning ’69 Ray Faro Pontiac Ram Air V GTO Judge. Read about the historic Ram Air V engine rebuild on HotRod Magazine. During each rebuild, original parts are utilized as much as possible. All parts, engine block, heads, etc.. are verified during restoration process and correct paint codes for various years and engine service are used. No detail spared to keep your Pontiac concourse correct. All engines assembled by DCI Motorsports are run on our in house engine stand or dyno for an additional fee. No exceptions !!! This requires the correct oil, filters, spark plugs, and fuel plus labor. 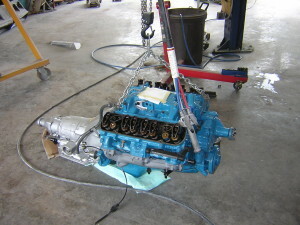 The service cost is $375.00 plus parts, fluids,and labor to refurbish parts needed to run engine successfully. Note: A complete good factory core must be provided by client. Please see the Pontiac Engine Builder page for complete details what goes into each DCI Motorsports Pontiac engine rebuild.